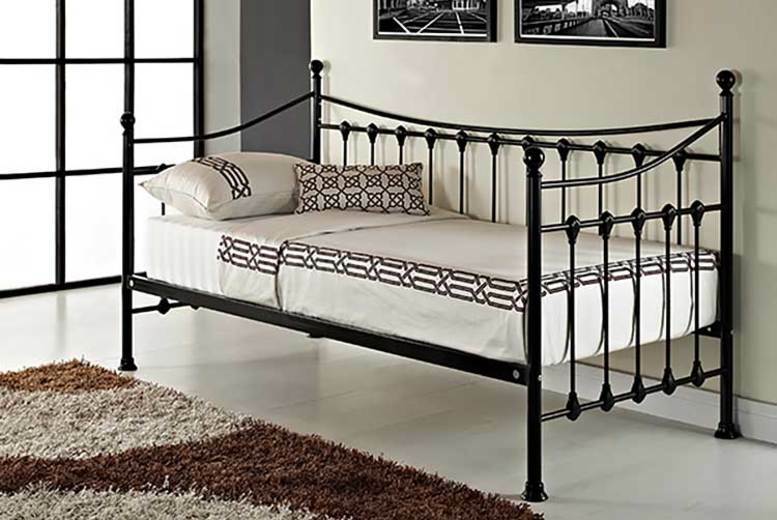 Get an elegant French day bed! Vintage-inspired railings on three sides. Opt to include a trundle and two mattresses. A chic solution for a spare bed! See Full Details for dimensions.